According to the report, cops tracked down Helton after receiving a tip that Todd's black Ford F150 had struck a median and then parked at a nearby gas station. When cops arrived to the scene, police say they saw Helton stumbling out of the gas station — stinking of booze — and clutching lottery tickets in his hand. Cops say Helton denied striking a median ... but "made spontaneous statements about drinking two igloo cups of red wine." Wow. That just might be the saddest goddamn thing I have ever read. 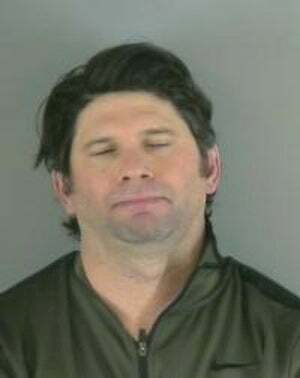 Please take a moment to picture Todd Helton—who made $20 million last year, is the greatest player in Rockies franchise history, and a borderline Hall of Fame first baseman—sitting at home, drinking red wine out of an igloo cup at 2:30 in the morning, and then deciding that he needs to drive his truck to the gas station a few blocks away so that he can buy lotto tickets. That's something that your uncle Todd who stays in the basement during Thanksgiving does.